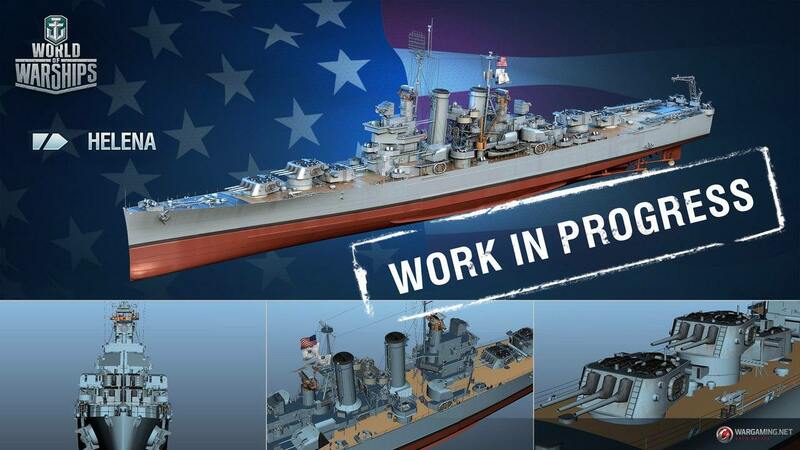 [WoWs] New US Cruiser line incoming! 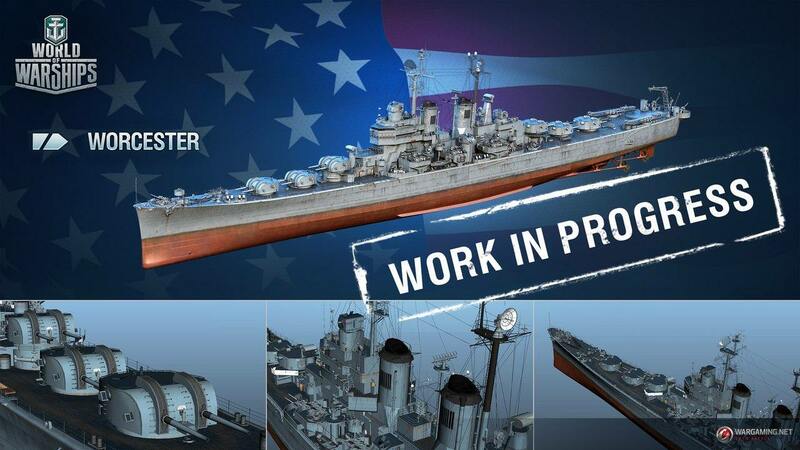 Thread: New US Cruiser line incoming! 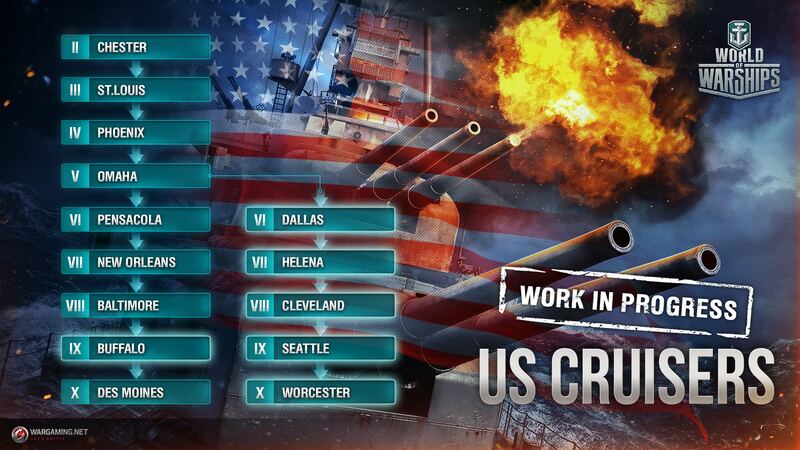 New US Cruiser line incoming! 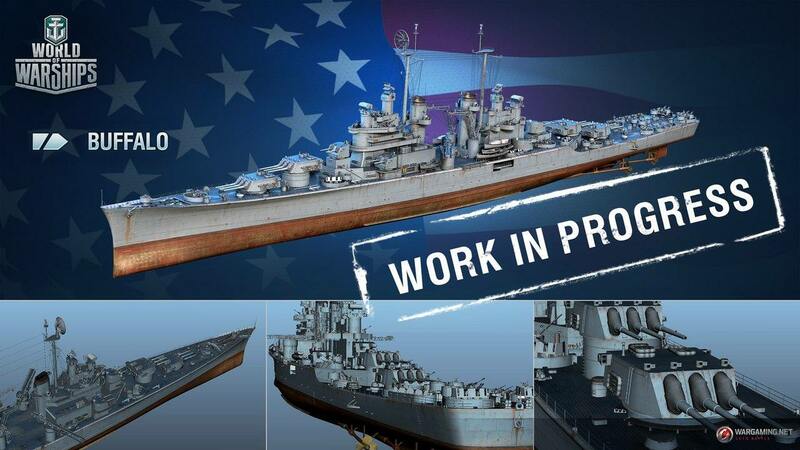 The long awaited USN Cruiser split is coming! 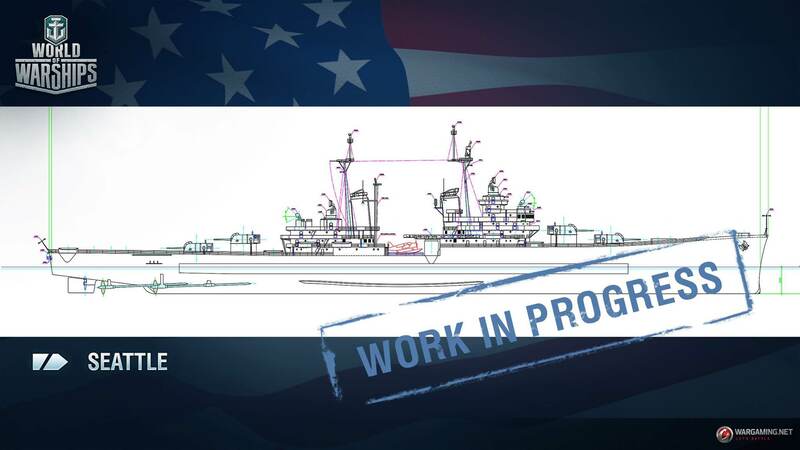 Pensacola, New Orleans and Baltimore will be set a Tier lower, and a new Cruiser line will be created with Cleveland at its rightful T8 spot and Worcester at the top of the line. Worcester and Buffalo (the new Heavy T9) will be at least out of development hell! Make USN Cruisers Great Again! No more Cleveland sealclubbing at T6 feelsbadman. As a shoukaku main I'm not sure how I feel about a tier 8 Cleveland. Not sure why Cleveland seems to be getting a new model, old one seems mostly fine. Unless they're just updating it with new small calibre AA? Also, Worcester looks like a US Minotaur. Worcester has one twin 6 inch more, but you've got a point. It's probably convergent evolution, both ships designs having the same objective: a light cruiser dedicated to anti-air duty. I'm happy for Cleveland going to Tier VIII and her potential being realized. That said, she is a big player in Tier VI and that MM range. AA. Of all the Tech Tree ships, Tier VI Cleveland is the only ship that puts fear into CVs. AA Hull Nunrberg? No, garbage AA. There's AA Gneisenau but nobody but a few loonies like me spec her for AA. There's Atlanta, but she's a Premium and sees nothing at all the sheer amount of action Cleveland sees. DPM side Nurnburg can be just as good, etc. But the other Tier VI Cruisers are not sturdy like Cleveland. She was also a key ship in Ranked and Scenarios. Honestly, the CV crowd hasn't said it yet, but they're drooling with the idea that Cleveland will be mostly gone from the MM range that sees the most CV action: Tier V-VII. Tier VI Cleveland sat right in the middle of that. I won't be able to swat AI planes in Operations either. Nurnberg is a good alternative in the anti-shipping department, but there's no more AA monster. @Keyan_TTK Yeah, N-Berg is nothing at all like Cleveland in that department. The loss of Cleveland's AA is going to be sharply felt in both PVE and PVP. Nobody is close to that in Tier V-VII range, only Atlanta, and she's a premium with less action seen. Not sure how it is in other servers, but Cleveland is **THE** most played Cruiser in NA, period, nothing at all comes close. She just does so many things. Great for personal defense, worthless for defending teammates. NOLA, Indianapolis, Pensacola feature the inferior 127mm mounts that lack the range and DPS of the 127mm/38 DP mounts. 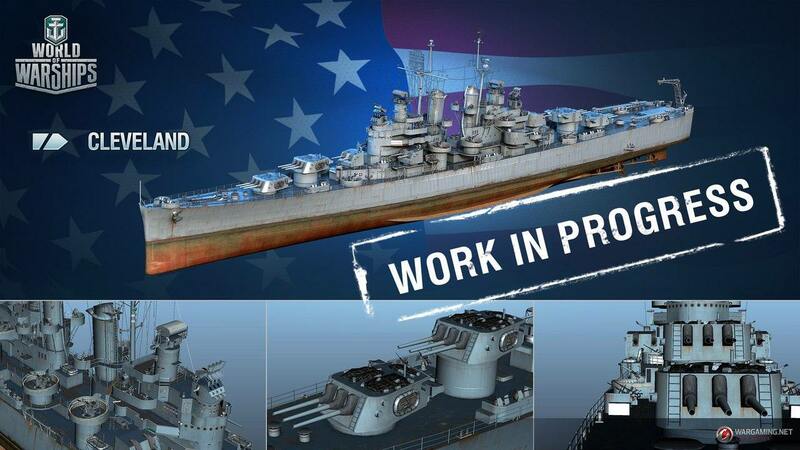 Unless Pensacola, Dallas somehow are made AA monsters for Tier VI, CVs are going to have a field day. Cleveland was the first real slap to the face a CV experiences. Atlanta is there but again, she's not played as much and is a Tier VII. It's going to be a very interesting set of causes and effects in the Tier V-VII CV crowd. They can still see Tier VIII Cleveland, but Cleve is going to be dealing with Tier IX-X problems. 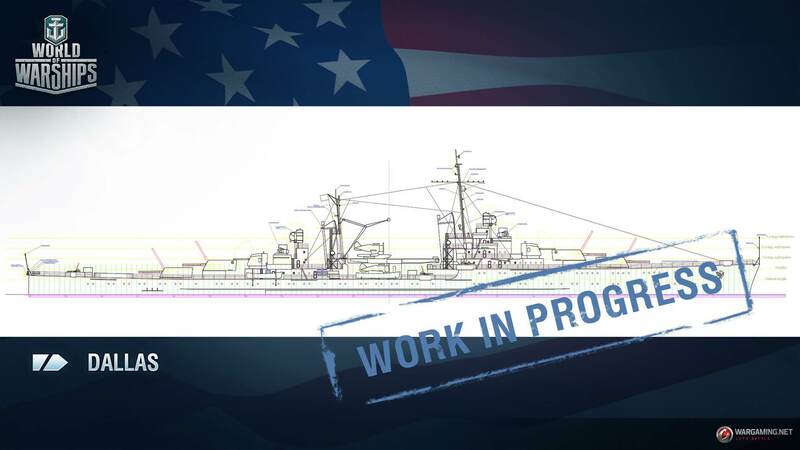 Guys, just to clarify: the current WIP plan is regular cruiser loadout but HAS and Def AA in different slots, and for T9-10, we plan DCP, Heal, HAS, AA and Radar - in different slots. I'm fine with this. Make USN cruisers great again! MrFingersEU of Reddit fame found out more about these two cruisers, namely the styles plans. 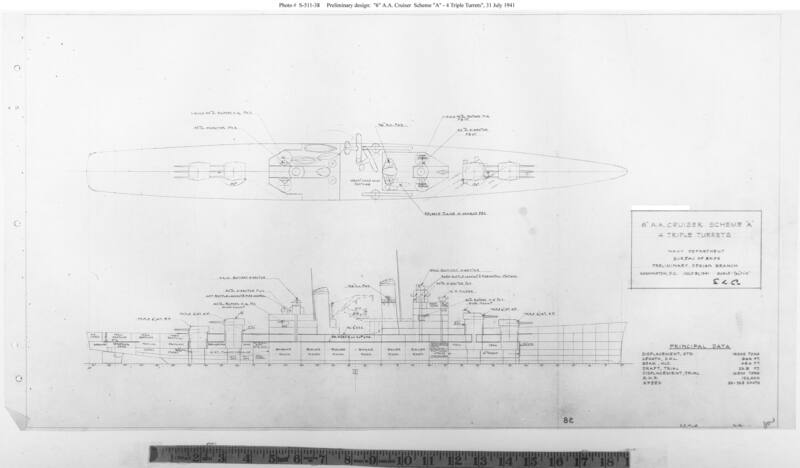 an alternative for USS Cleveland, with plane facilities amidships, torpedoes aft of said plane facilities, and six twin 5inch/38. There's also four quad 1.1 inch MGs (the famed Chicago Pianos), which may be replaced with quad Bofors. a preliminary design for USS Worcester, with triple rapid firing DP 6inch/47, four quad Bofors and again aircraft facilities amidships. All times are GMT. The time now is 02:34 PM.